Hermanus prides itself with its many things to do in Hermanus with children and for people of all ages to enjoy. Some of these activities, however, are specially geared towards the smaller people of the world. Even families with smaller children can enjoy Hermanus and its surroundings to the full. Here are a few suggestions on how to accomplish happiness for the whole family. 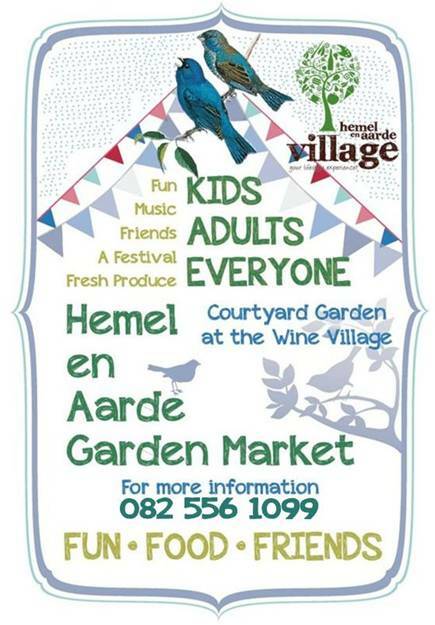 On Saturdays, the Hemel en Aarde Garden Market is a must for all. It is hosted behind the Wine Village in the beautiful garden courtyard. The obvious playground for children is Hermanus’s great beaches. Most have their own changing and showering facilities and all of them have stretches of gorgeous white sand for children and adults alike to enjoy whether it be swimming, boogie boarding, kite flying, playing bat and ball games or just digging in the sand. Kamma Baai on 5th Avenue has a trickle of a mountain stream running towards the sea and this is a popular place for toddlers to safely get their feet wet under the watchful eyes of their parents. The Kleinriver Lagoon is also popular for fishing, sand mussel digging, canoeing and yachting. The Onrus lagoon is another attraction for families with younger children, while the older teenagers find surfing the ocean waves a great pastime. Within walking distance of Eastbury Cottage is the Marine Tidal Pool where at low tide, children can play in the sand and swim in the rock pools. Keeping with the outdoor theme, Hermanus also has various parks that are equipped with sea-saws, jungle gyms, slides and much more, making this area very popular for things to do in Hermanus with children. One of the parks is situated on Hermanus’s waterfront, in full view of the seafront restaurants so that Mum and Dad can enjoy a relaxing lunch or breakfast time and at the same time have a glorious view of the ocean. Another play park is situated across from the High School in Moffat Street and is set in a water wise garden planted with indigenous flora– just a short walking distance from Eastbury Cottage. Then in Northcliff, a park is found on the square between Impala, Duiker, and Albertyn Streets. Hermanus also has a cricket pitch at the Hermanus Cricket Club that is located opposite the High School and next to the Montessori private school. Behind the Cricket Club is a mountain bike track. The new Woolworths shopping centre in Lord Roberts Road is just a block away from Eastbury Cottage and houses Zero Gravity, a gaming shop that sells computer games for all platforms and also offers the opportunity for children to come and play games in store. Zero Gravity is open seven days a week and it is highly popular with children of all ages for its reasonably-priced gaming experience. The shop is secure and well-monitored so it is safe to leave your children to enjoy their games while you go out and shop or spend the day doing other activities. Food and refreshments for the children are also available in store. Zero Gravity also offers children’s parties and functions. 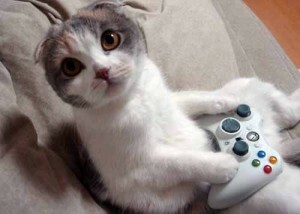 Hermanus also has a number of internet cafés where gaming is promoted. The closest Internet Café to Eastbury Cottage is found just across the street from the Woolworths Centre in the Checkers Centre. Wonderland Café is another great place to drop the kids and let them have fun while you relax, shop or do your own thing. Found just next to Superplants at the Sandbaai/Hemel en Aarde Valley traffic lights just outside Hermanus, Wonderland Café is a playground, a petting zoo and licensed coffee shop combined. Open seven days a week, the play area includes paintball, play houses, a miniature train, jumping castles, an animal farm and a games arcade. For the adults, there is a free Wi-Fi spot and a place to relax and watch TV while the kids have fun for hours. Wonderland also offers children’s parties and other functions. 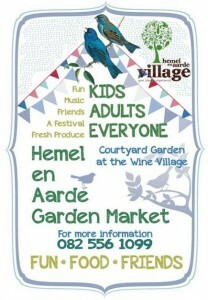 The many festivals that are hosted by Hermanus, also have their share of children’s entertainment. Festivals such as the Hermanus Fynarts, the Kalfiefees, Hermanus Wine and Food Festival, have their own kids’ corners that offer arts and crafts activities, face painting, fashion shows, competitions and more. The Whale Festival in September brings with it a miniature fair with rides such as the much-loved “free fall” to entertain kids and adults of all ages. The Fernkloof Flower Festival in September offers various childrens activities. In 2013 children were shown how to grow a garden in a bottle. Festivals also bring with them a variety of children’s shows – plays, puppet shows, musical acts and the like – that run daily. Check out our blog posts or subscribe to our Newsletter for festival programs and for more information about what’s currently happening. During the Christmas holiday season there are many programs offered such as sand castle building contests, guided walks up Hoy’s Koppie, magic shows, touch rugby, treasure hunts and fairy tea parties. And then there are of course the ‘grown up’ activities that children will also find exhilarating, like boat trips, whale watching, scuba diving, quad biking, horse riding, archery, productions at the Forest Theater and the like! Eastbury Cottage offers a complimentary DVD library for rainy days as well as a selection of board games, playing cards, building blocks and puzzles. For your convenience, we offer a stroller push chair for the little one who is too young to keep up with Mum and Dad while they walk the cliff paths or shop in our exciting shops unique to Hermanus. As you can see, it’s very difficult for even those with loads of energy to get bored in Hermanus! Between the champagne air, beautiful beaches and a slew of other things to do with children, your time in Hermanus is guaranteed to be a fun-filled, jam-packed occasion. NB: All visitors travelling to RSA with children under 18 must be in possession of an unabridged birth certificate in addition to valid passport and visas where necessary. The latest news is that you can request a letter indicating that you have applied for the Unabridged Birth Certificate (the certificate could take up to 8 weeks to issue). This letter can be used in the interim while you travel. For more information contact the South Africa Department of Home Affairs.